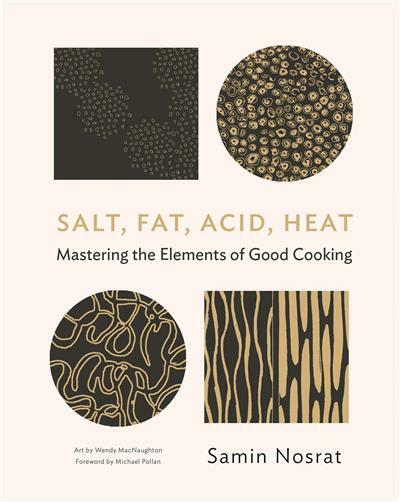 While cooking at Chez Panisse at the start of her career, Samin Nosrat noticed that amid the chaos of the kitchen there were four key principles that her fellow chefs would always fall back on to make their food better: Salt, Fat, Acid and Heat. By mastering these four variables, Samin found the confidence to trust her instincts in the kitchen and cook delicious meals with any ingredients. And with her simple but revolutionary method, she has taught masterclasses to give both professionals and amateurs the skills to cook instinctively. Whether you want to balance your vinaigrette, perfectly caramelise your roasted vegetables or braise meltingly tender stews, Samin's canon of 100 essential recipes and their dozens of variations will teach you how. 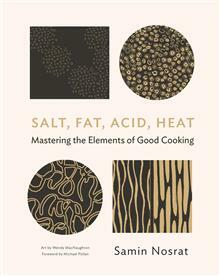 This beautiful, approachable book captures how it should feel to cook: full of exploration, spontaneity and joy.